How Far is APS Ashiyana 2? 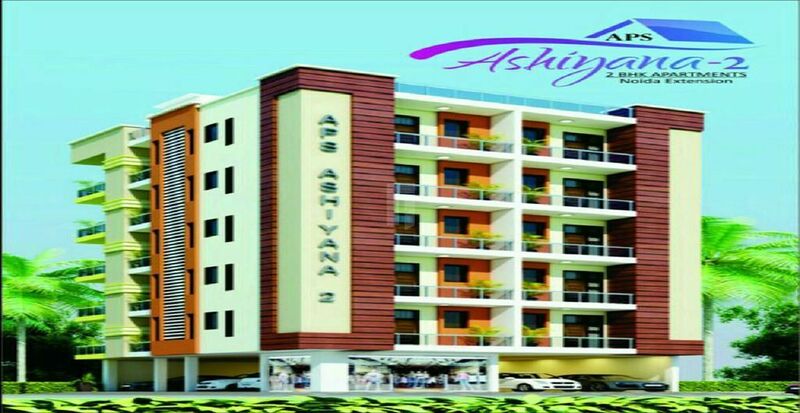 APS Ashiyana 2, located in Noida Extension, is one of the residential developments of APS Group. It offers spacious 2 BHK residential apartments. The project is well equipped with all the amenities to facilitate the needs of the residents. The APS Group is founded on a vision which seeks to usher in better tomorrow by providing people with improved quality of life and living standards. Recognizing the basic need to approach the issue of planned development and growth across the Residential, Commercial and Retail segments of the Real Estate Industry, we at APS believe that the key element of this transformation is change – a change from within and without. Guided by the profound thought expressed by the Father of the Nation, Each of us must be the change we want to see in the world. APS’ The name speaks of words synonymous to perfection and innovation. A trusted name among topnotch Realtors and Builders. APS Group has executed many reputed projects for the populace to reform their lives. They have entured into entertainment, shopping malls, as well as housing projects, touching the hearts by fulfilling their needs and providing them a balanced living. Home is a place where life is born. A place where dreams come alive and harmony’s achieved. We at APS Group believe in shaping your dreams; providing you with beautiful homes, peaceful nights and continuous contentment. Not to forget, best returns on your investment. APS Group offers a full range of construction and support services options, from major building and infrastructure projects to smaller building and civil engineering works; and from Total Facilities Management to direct delivery of mechanical & electrical, cleaning and security services. We can offer single service delivery or tailor integrated solutions to meet precise customer needs, including the development of project financing packages if required. APS Group was founded in 2010 to develop residential buildings. Our first development was a tremendous success. Compelled by this success, Bull and Group constructed an office that remains at its present location of Vaishali. Since that time we have had success in many residential developments in Vaishali, Kaushambhi and Indirapuram. APS Group has over 5.5 years of experience in the construction industry. By focusing our efforts and expertise we have been able to make our mark here. Our success in the building industry since 2010, speaks volumes of our complete dedication and commitment towards providing the best possible product at honest values. The sole objective of APS Group is to provide quality housing of various styles, sizes, and design, and to meet the specific needs of the individual buyer. Vision and integrity are the two pillars, which keep our company rooted and we practice these philosophies in our day to day operations, as well. APS Group Mission Is To Work With The Best and Deliver The Best Projects and Services Across Various Industry Verticals Exceeding Set Global Standards. APS Group came to life in 2010 to turn “dreams into reality” with customer satisfaction as its motto! Our work is such that it allows the consumer to be involved in the actual construction, should they wish, and is always documented in an organized manner. APS Group Vision Is To Become The Most Sought After Corporate Brand in Real Estate, HOME APPLIANCES, & Advertising Sectors with a Customer First Attitude and Humbleness Towards The Common Man. APS Group Goal Is To Be Among The Top 10 Business Names in India and Top 100 Fortune Corporates Globally within the next decade.